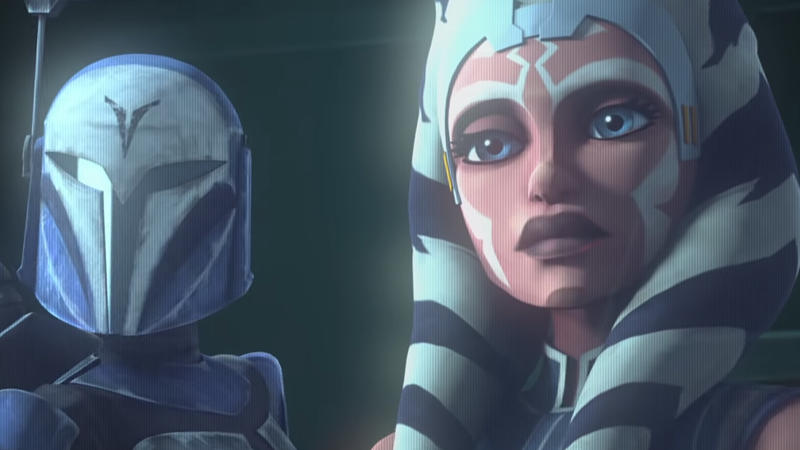 Ahsoka and Bo-Katan host an unlikely reunion in the trailer for Clone Wars’ surprise farewell season. Cover art for the first issue of Son of Dathomir. A new-look Ventress and Quinlan Vos on the cover of Dark Disciple. Now we’re starting to get into the least-finalized story ideas from Clone Wars’ unfinished vaults. Not much of this storyline is known beyond a single clip released at Star Wars Celebration last year, which featured the young Boba Fett squaring off with the menacing Cad Bane, after the latter tried to teach the former about the harsh realities of being a bounty hunter. The entire story would’ve included Boba finally donning his infamous suit of Mandalorian armor, but we know the fight would’ve also solved another of those Star Wars mysteries that never needed an answer: a shot from Bane would’ve deflected off Boba’s helmet, giving it the dent it has in Empire Strikes Back and Return of the Jedi. Some mysteries are perhaps best left unsolved. Ahsoka and her new friend—and potentially more than just that—Nyx Okami, in concept sketches by Dave Filoni. Ahsoka has a shocking encounter with a Sith through a door—Palpatine himself. The Wookiee chieftan Tarrful prays to the Wroshyr trees of Kashyyyk in more Dave Filoni concept art. Clones and droids vs. Clones and droids in a goofy scene sketched by Dave Filoni. That’s a Republic Cruiser on the right of that Vong ship, by the way, for scale. Jesus. The Clone Wars storyline wouldn’t have gone as fully off the deep end as the Vong’s presence in the Expanded Universe had, thank goodness. It would’ve been a haunting, X-Files-y alien encounter with a lone Vong scout ship. While the story wouldn’t have explicitly confirmed the Vong’s EU origins as from being beyond the Star Wars galaxy, it would’ve heavily hinted at it—to assess the presence of a civilization like the Republic and its mysterious Force users. Anakin and Padmé encounter representative Tikkes in the Quarren city in more Dave Filoni art. Anakin reveals one final gift for Ahsoka in storyboards from the Siege of Mandalore storyline. What was unseen in that trailer, however, was another tidbit Filoni had previously discussed about this final story. Beyond the actual battle for Mandalore the story would’ve gone deeper into the background of what was happening to Rex and Ahsoka during the events of Revenge of the Sith—specifically, how the two ended up surviving Order 66. The details ended up making their way into E.K. 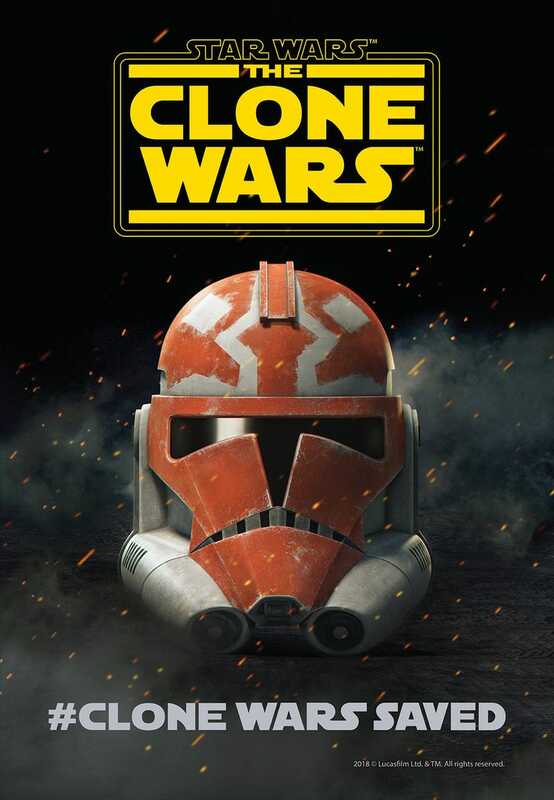 Johntson’s Ahsoka novel (Rex had his inhibitor chip disabled after the events of The Lost Mission’s haunting brush with the command, so Order 66 did not affect him—and after escaping the clones the duo faked their deaths and went their separate ways), but whether or not we’ll see them realized in this upcoming season remains to be seen. Hello, Master. It's Been a While. Four New, Unfinished Clone Wars Episodes Have Been Released Online! 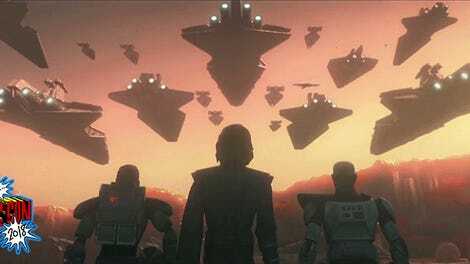 The Clone Wars&apos; final season may finally tie all the prequels together!